Hello! As much as I love taking photos, not every photo is going to have the best lighting or there will be distractions in the photos. For example, the photos in this layout have a lot of green. And the photo of me throwing the frisbee was taken by my husband while trying to catch it. Both my daughter and I look like little specks in all the green. I want to document and remember this day, but I also want the page to be beautiful. I would normally turn busy or bad photos into black and white, but I decided I would challenge myself by leaving them in color. To help soften them a bit and make them look their best, I added a filter using Rad Lab. Next I cropped the photos for better composition. For the square photos, I cropped them with the grass being a third of the photo, so now the subject is at the same level. And for the portrait photo I cropped out the grass at the bottom. I stamped and die cut flowers and leaves using the Vintage Flowers Stamps and Dies. 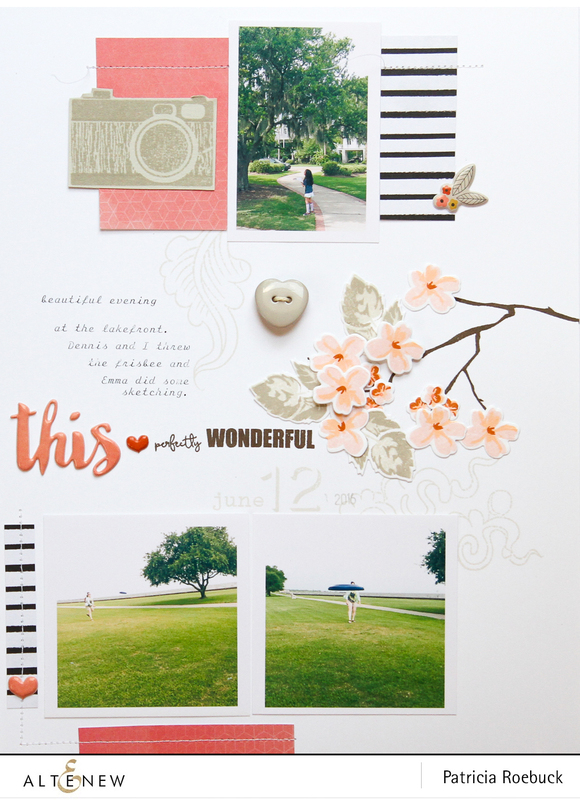 For the flowers I chose Blush, Peach Perfect, and Paper Bag Crisp Die Inks. These colors sit next to green and green yellow on the color wheel, which will help create balance and harmony with the colors of my photos. For the leaves, I didn’t choose green! Instead, I chose Morning Frost and Evening Gray Crisp Dye Inks. I used the You Are stamp set for my title in Lava Rock. Then used the Invisible Numbers and the You Are stamps in Morning Frost. After stamping the date, I wished I had used a darker shade of gray, but I do like how it is in the background and the title is easily seen. 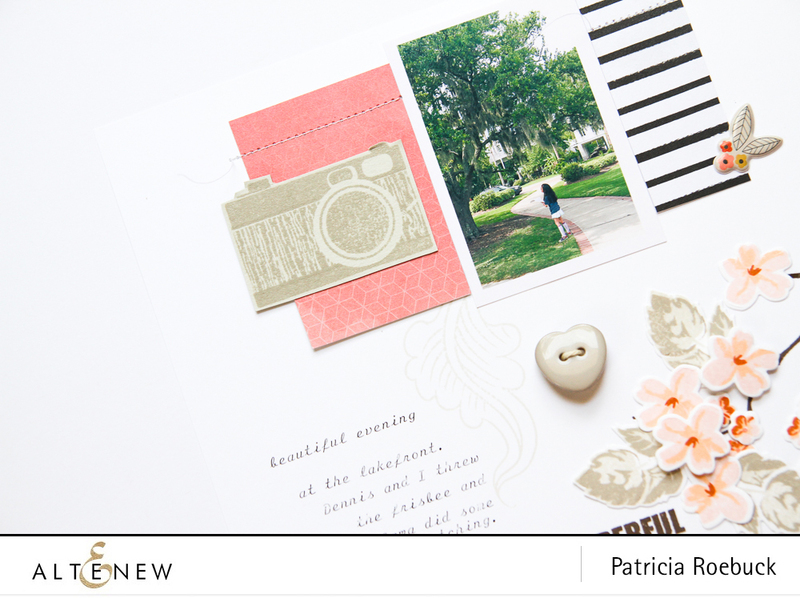 Keeping with neutral gray, I stamped the Say Cheese camera with Evening Gray onto Pale Gray cardstock to use at the top of my layout. I have a video you can watch here or click here to see it in HD. 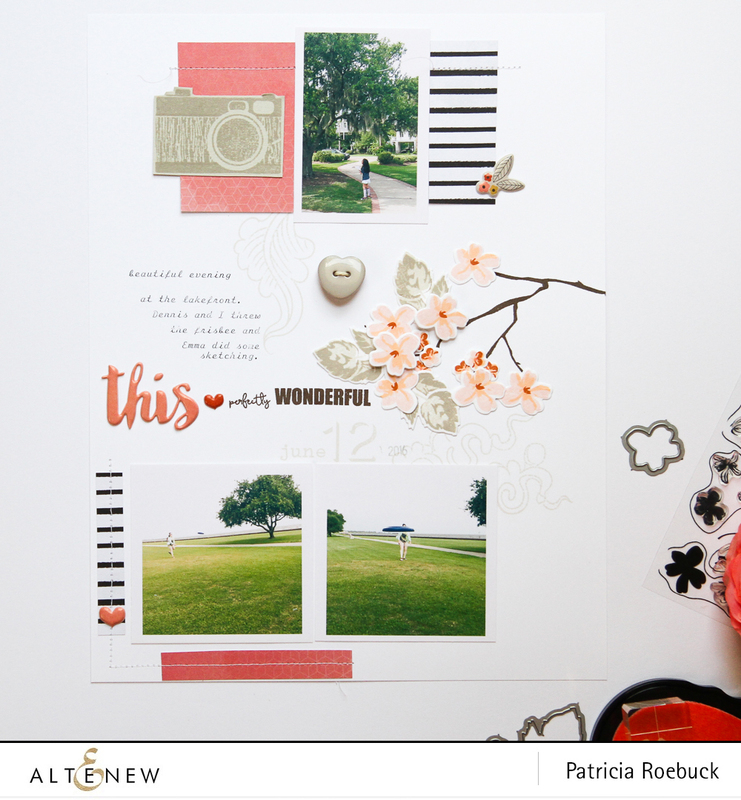 Thank you for letting me share how this layout came. 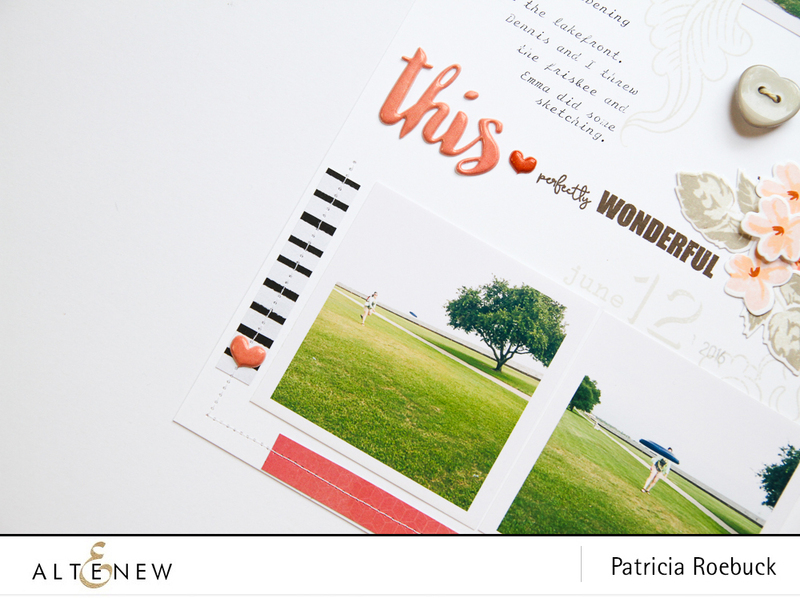 Patricia – use a piece of Glad Press ‘N Seal to pick up your embellishments and keep the arrangement. Better than a phone and you can use the same piece over and over until the sticky is gone. 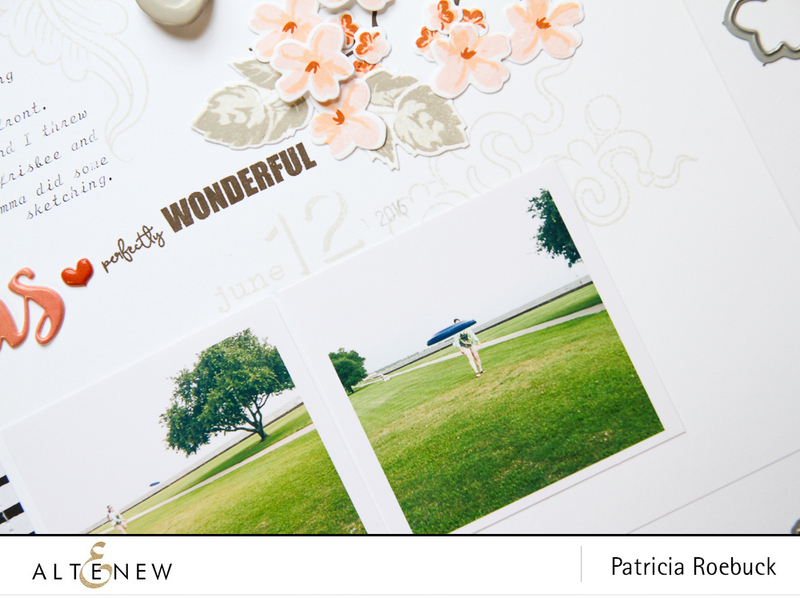 Patricia – this page is perfectly lovely and all the details are awesomely done! !